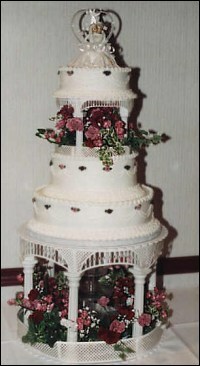 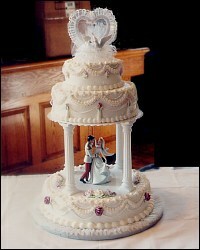 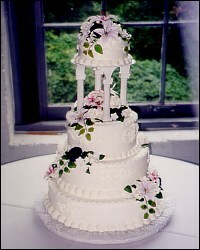 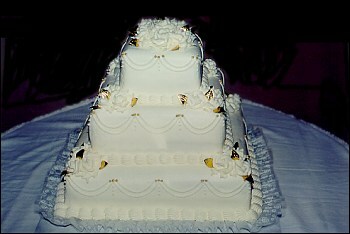 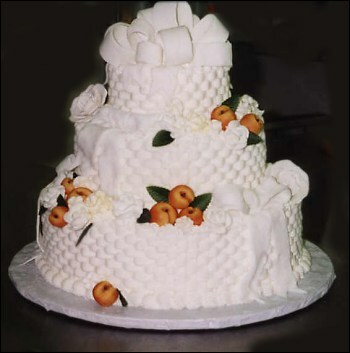 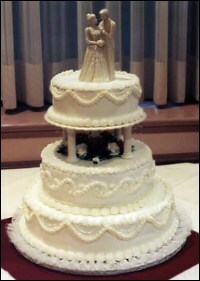 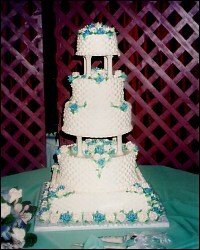 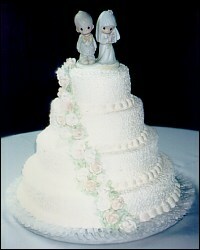 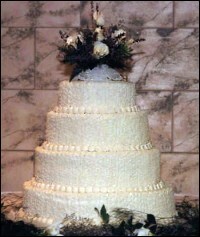 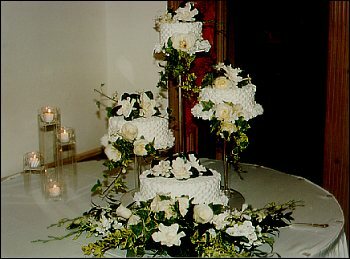 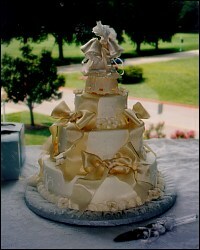 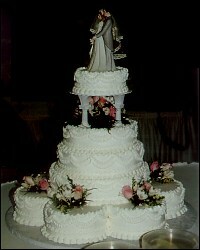 Whether you are looking for traditional or elaborate designs and basketweaves, Cakes Plus professional cake decorators can help make your wedding a memorable day.We have a selection of over 400 cake top ornaments (Wilton®, Jamie Lynn®, C&R®, and selected others) or you can provide your own to help finish off your cake. 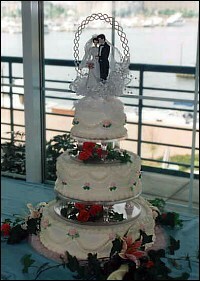 With a wedding cake order, ornaments are discounted 15%. 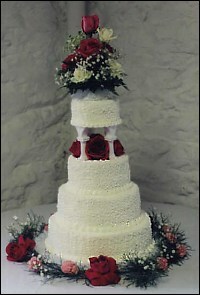 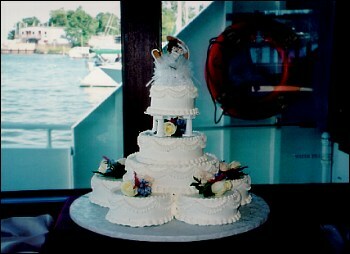 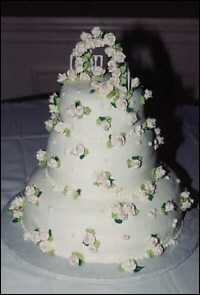 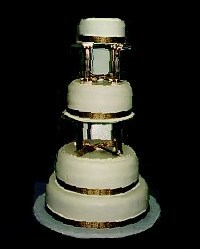 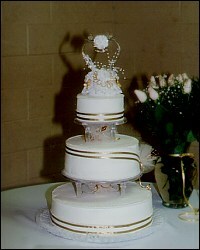 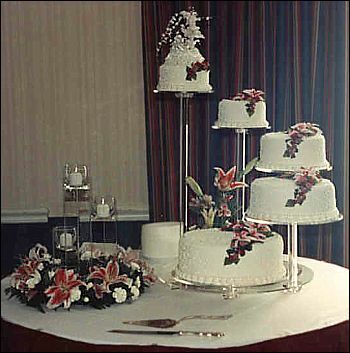 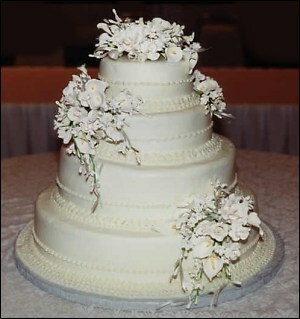 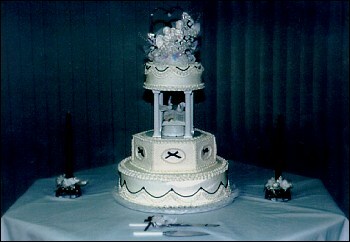 Cakes Plus offers free delivery and set up for wedding cakes at reception sites within a 10 mile radius of our store. 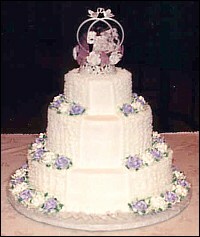 Outside of that area, or on a Sunday there is a nominal delivery charge. 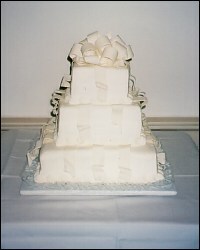 Payments may be cash, check, or major credit card.